This package contains two courses required for individuals who want to become licensed mortgage loan originators under the regulation of the California Department of Business Oversight (DBO). Students are required to take a standard national study component and a DBO-specific 2-hour course. 20 Hour SAFE Comprehensive: Mortgage Loan Originator Prelicensure Course (NMLS ID 6121) - This course starts by teaching you the basics about what a mortgage loan is, goes into the federal laws and ethical practices that you will be expected to comply with, covers how to get a mortgage loan originator's license via the Nationwide Mortgage Licensing System (NMLS), and explains several nontraditional mortgage loans you may not be familiar with. We'll also show the step-by-step process to filling out a mortgage application, making note of factors that potentially could become issues with your customer's loan, and then walk through the loan underwriting process to loan closing. 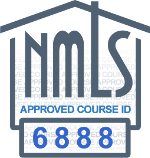 2 Hour CA-DBO SAFE: California Mortgage Lending Laws (NMLS ID 6888) - This DBO-specific course will cover the specific State of California licensing requirements and the additional CA mortgage lending laws that must be followed. Please see the course details below to download a copy of each courses' syllabus. The 20-hour prelicense course is presented in an online instructor-led format. The course is made of online reading materials and activities, along with scheduled instructor sessions that will be available for each of the four days the course takes place. The instructor sessions are provided through a webinar software and a dial-in audio telephone number. You can use the instructor session to ask questions about the course content. The 2-hour DBO course is presented in a live lecture format presented over the internet, often referred to as a webinar. You will attend the webinar session by using the provided webinar software and a dial-in audio telephone number. The final exam for the course will be granted after the instructor and facilitator verify that you have attended the 2-hour webinar session. Included in this bundle is a supplemental online study guide to help you retain the information covered during the instructor-lead 20-hour prelicense course. Each segment from the prelicensure course has a corresponding chapter in the exam prep guide, containing additional test questions to help you remember the segment topics. At the end of the study guide is an exam based on the same requirements as the actual licensing exam: 125 questions in 190 minutes with a minimum 75% passing score. The exam prep module does not contain any state-specific material. This course is designed to prepare candidates to take the exam to become a state-licensed mortgage loan originator in California under the Department of Business Oversight (DBO). This 2-hour course covers California specific rules and regulations, and is required as part of the 20 hours of prelicensure education needed to become a California mortgage loan originator. Students will attend a live / real-time webinar with an instructor. The course will last 2 hours held on one day and will include slide show presentation by the instructor, Q&A sessions, group discussion, and quizzes. Once the student is confirmed to have participated in all actives, a 15-question final exam will be made available outside of the webinar software. This is a webinar course. Students will need to have a current internet browser and computer speakers or a phone in order to hear the instructor speaking. The webinar is presented using Citrix GoToMeeting software, but a webcam is not required. An audio bridge call-in number along with the session dates and times will be given to the students when the class begins. Individuals are required to be licensed as mortgage loan originators before participating in residential mortgage lending under California law. This section of the course will cover the licensing requirements for mortgage loan originators under the CFFL. The activities of licensed mortgage loan originators and the origination or offering of financial products for residential real property are subject to California law. This section of the course covers the California residential lending laws the MLOs must comply with. 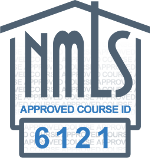 NMLS functional specification define that a 2-hour mortgage loan originator prelicense courses MUST be completed within 12 hours of the course session start time. Students who do not pass the final exam before the enrollment period expires will be marked as failing the course. Refunds will not be issued for failed courses. Extensions to lengthen the 12-hour enrollment period are NOT available. Students who fail the course can enroll for a new course session and must start from the beginning. This course will remain available to students for 1 days after purchase.